Previously known as Court Basics, this training will cover those things that you deal with every day or fairly regularly as a Court employee. 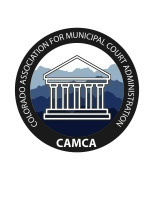 Be prepared to share information with your fellow Court employees as we dive into all levels of what makes our Municipal Courts function well. While there is a lot of content to cover, we promise it will be a fun and exciting day! We have added a CAMCA non-member option to the Verbal Defense & Influence training. Cost is $60.00 to register. Please be sure to choose the Non-Member Verbal Judo course when signing up!